Grandmaster Sam Plumb is considered one of the foremost practitioners of Hapkido in Europe. In fact, he has been described by Grandmaster Sung Soo Lee as "the Father of Hapkido not only in the UK but also in Europe". He has led a dedicated effort in the development of Hapkido and has taught hundreds of loyal students, with many of them becoming instructors themselves. Martial artists from all styles have, and continue to, seek his teachings. 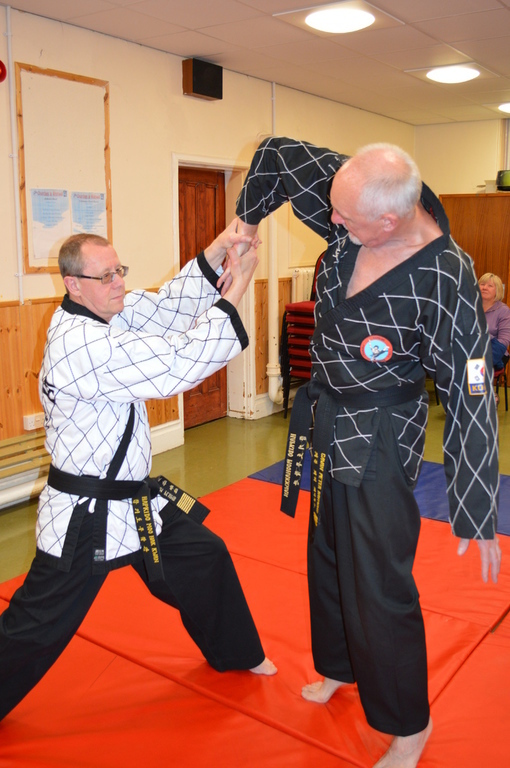 Master Sam has studied martial arts for over 50 years and holds the rank of 8th Dan black belt in Hapkido. He is the founder and the Chief Master Instructor of the European Hapkido Alliance. He is the President of Moo Hak Kwan Hapkido in Europe, an appointment awarded to him by Grandmaster Sung Soo Lee. 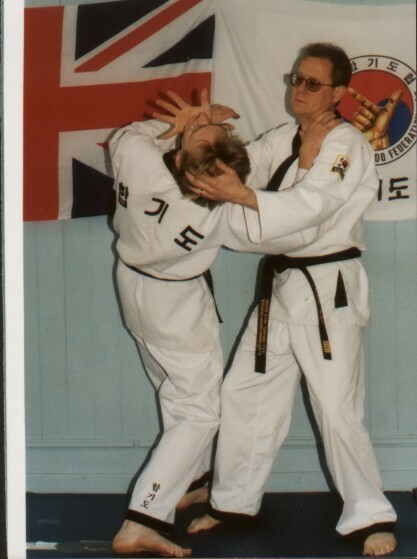 He is also the only official UK representative for the Korea Hapkido Federation. The European Hapkido Alliance was founded by Master Sam Plumb in 1987. 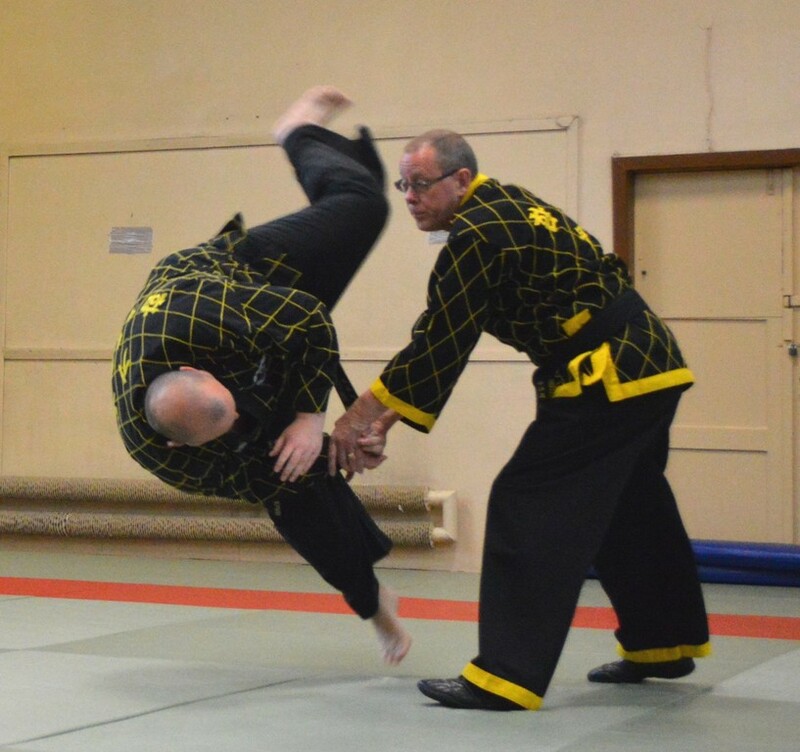 Sam began teaching Hapkido in 1981 in a small group of clubs in the East Midlands called "The East Midlands Hapkido Circle". Sam's reputation spread very quickly and soon the classes were attracting members not only from outside the East Midlands but also abroad. Having outgrown its name, the East Midlands Hapkido Circle became the European Hapkido Alliance. As a young man, he studied the arts of Karate, Tang Soo Do and Taekwondo and eventually, Hapkido. He was already a black belt in Taekwondo when he began his Hapkido training in 1980 with the Great Britain Hapkido Association. After training with the GBHA for a couple of years, a split occurred in the organization and Sam found himself dealing with a splinter group. At the time Sam was unaware of the split as his instructor kept this information from him. He became suspiscious when his instructor began to move very rapidly through the Dan grade ranks. Sam eventually discovered the truth about the split with the GBHA and learned that the Dan grades his instructor was claiming were not recognised. He immediately resigned from this splinter group and after a while began training with the late Master Mok Yang Kim, 8th Dan, who ran the United Kingdom Sulkido Federation from London. Sam remained a loyal student of Master Kim until his untimely death in 1992. After his instructor's death, Sam literally searched the world for an instructor of the same caliber as Master Kim. He was eventually accepted as a student of Grandmaster Sung Soo Lee in 1994 and has remained loyal to him to the present day. Sam has been called upon to teach police and law enforcement personell in Eastern Europe. After the fall of communism in Eastern Europe in the early 90's, Master Sam was invited to teach Hapkido in Hungary, Poland, Ukraine and Czech Republic where he was the first ever Hapkido Master to demonstrate his skills. He was also the first person to introduce Hapkido to Poland and open schools there and these classes are still active after more than 20 years. He has trained extensively in Korea, the birthplace of Hapkido and has many connections with instructors and Do-Jangs in that country. He has also studied herbal medicine as he considers Hapkido to be not only an extremely effective martial art of self defence but also a healing art. 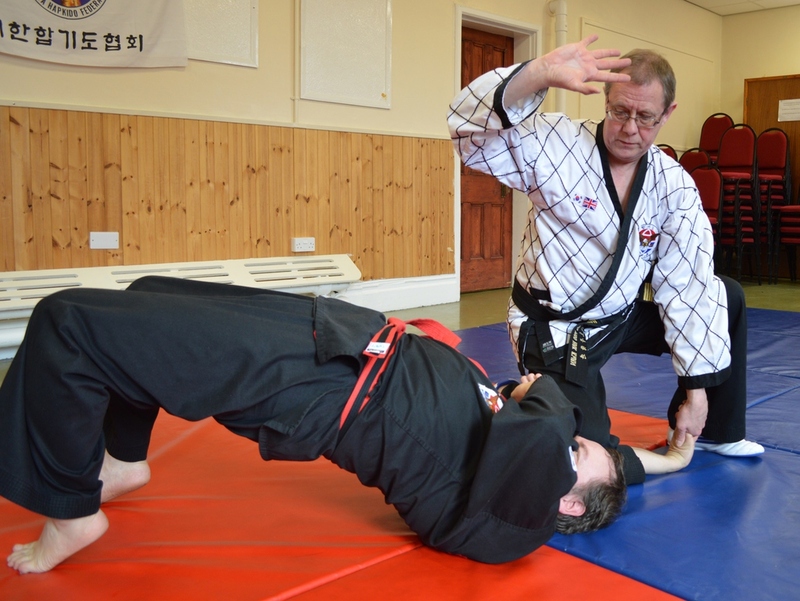 Sam Plumb has been the subject of hundreds of magazine and newspaper articles and has been featured demonstrating Hapkido on BBC Television. In addition to being featured in many martial arts magazines, Master Sam has written many articles himself on the Korean martial arts. 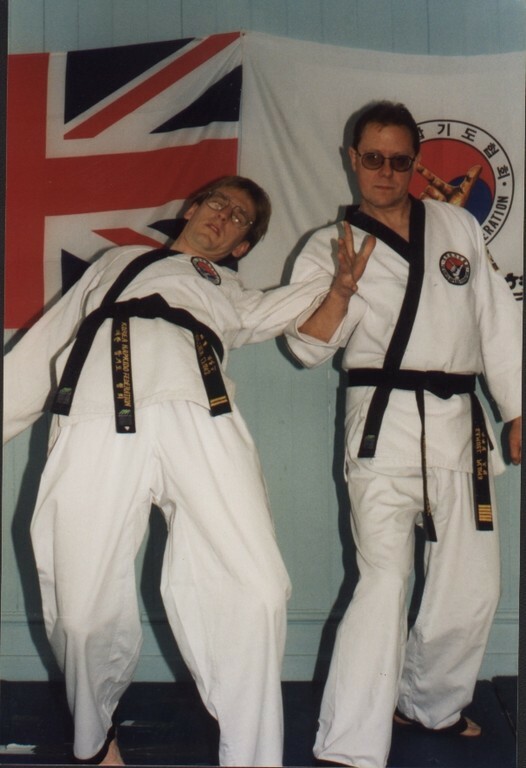 For many years,during the 1980's and 90's, he organized the extremely successful East Midlands Martial Arts Festival which became a showcase for all the quality martial arts schools in the East Midlands area of the UK at that time. He is best known however, for his inexhaustible dedication to the teaching of Hapkido, sharing with thousands his vast knowledge of Korean martial arts. In an effort to expand the EHA to include qualified and committed member schools, Master Sam continues to tour the world lecturing and demonstrating Hapkido. Looking at his accomplishments, one could forgive him for being arrogant, egotistical and unapproachable, but nothing could be further from the truth. His home is always open to guest Hapkido instructors and students from other Do-Jangs and other countries. Sam Plumb's first Korean Master Instructor, Mok Yang Kim.